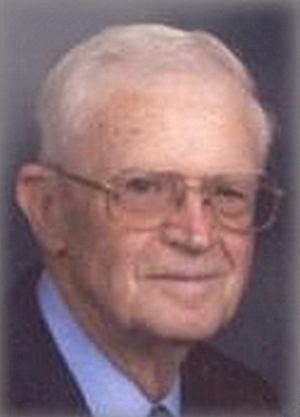 Obituary – Mayberry, James Grant « Perry High School Alumni Association, Inc.
Sec.-Treas. of Home Room. ’45-’46. James Grant Mayberry, 81, of Stillwater, OK died on Tuesday, November 10, 2009 in Stillwater, OK.
Graveside services will be at 1:00 p.m. Friday, November 13, 2009 at Fairlawn Cemetery. A memorial service will follow at 2:00 p.m. at the First United Methodist Church with The Reverend Stanley M. Warfield, Jr. officiating. Strode Funeral Home is in charge of arrangements. James was born on September 20, 1928 in Seneca, MO to James Franklin and Geraldine Lankford Mayberry. He married Phyllis M. Webster on June 10, 1949 in Stillwater, OK. The family has resided in Pauls Valley, Ardmore and Okmulgee, before settling in Stillwater, OK., where they have lived since 1979. He served his country during WWII with the United States Air Corps, earning the rank of Sergeant with the 33rd Fighter Wing. He flew the Berlin Airlift, and was stationed at Bangor, ME. He was very active with the Boy Scouts of America for 58 years, with the troops in Cubs, Webelos, and Sr. Scouts. He was a district commissioner of Boy Scouting, and he received the Silver Beaver Award at a young age. Jim was an active member of the First United Methodist Church, working with youth. He also served on various boards in the church. He was on the OSU faculty in Petroleum Technology from 1979 until his retirement. He was a lifetime member of the OSU Alumni Association, and OSU Emeritus Association member. He was also a member of the Stillwater Gem and Mineral Association and Sam’s Travel Club. He enjoyed hunting and fishing and spending time with his grandchildren. He was preceded in death by his parents, James and Geraldine Mayberry. 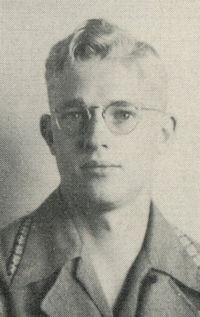 He is survived by his wife, Phyllis of the home; two sons, James David Mayberry and wife Jan of Pauls Valley, James William Scott Mayberry and wife Kris of Okmulgee; one daughter, Phyllis Susan and husband Donald Melton Adkison of Tulsa; nine grandchildren; and ten great grandchildren. Memorial contributions may be made in his name to the First United Methodist Church, 400 W. 7th Stillwater, OK 74074; Salvation Army, 211 E. 9th Stillwater, OK 74074; and Sheerar Museum, 702 Duncan Stillwater, OK 74074.